A native of Canada, Dr. Neeta Kohli-Dang, completed her undergraduate and medical training at the University of Toronto from where she graduated with honors. She completed her residency in Otolaryngology at the University of Toronto, including the Hospital for Sick Children, which provided extensive pediatric training. She was awarded the Silverman Prize for her research and presentation on childhood nasal obstruction. She is board-certified in Otolaryngology, Head and Neck Surgery. She is also a Fellow of the Royal College of Physicians and Surgeons of Canada. Dr. Neeta Dang has had a successful and busy practice since 1987 with vast experience in the treatment of ear, nose and throat disorders, both pediatric and adult. She is particularly interested in treating nasal/sinus diseases and endoscopic sinus surgery utilizing the latest techniques including computer-guided surgery and Balloon Sinuplasty. She has been Chief of Otolaryngology at Huntsville Hospital and a member of their Surgical and Clinical Review Committees. She was a Trustee of the board of directors at Crestwood Hospital and is a member of Crestwood’s Physician Leadership Group. She is a Fellow of the American Academy of Otolaryngology. John R. LaFrentz, M.D., F.A.C.S. 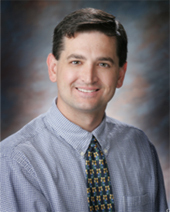 Dr. John LaFrentz has been a physician with Huntsville Ear, Nose, and Throat Physicians since 2003. He received a Bachelor of Science with Honors from the University of Florida in 1990. After earning his medical degree from the University of Miami School of Medicine in 1994, Dr. LaFrentz completed a general surgery internship at Fitzsimons Army Medical Center in Denver, Colorado. His residency training in Otolaryngology – Head and Neck Surgery was performed at Walter Reed Army Medical Center in Washington, D.C. He served as a Major in the Medical Corps of the United States Army distinguishing himself as recipient of the U.S. Army Meritorious Service Medal. Dr. LaFrentz is certified by the American Board of Otolaryngology, a Fellow of the American Academy of Otolaryngology – Head and Neck Surgery, and a Fellow of the American College of Surgeons. For the last decade, he has served in leadership positions at Crestwood Medical Center including Chief of Staff. His practice encompasses all areas of general otolaryngology with surgical interests in both pediatric and adult otolaryngology including but not limited to tonsillectomy and adenoidectomy, advanced techniques in sinus and nasal surgery, and surgery of the thyroid/parathyroid. Kari Kingsley is a board certified acute nurse practitioner, having worked in otolaryngology since January 2010. 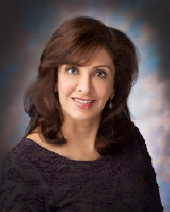 She works for Dr. Neeta Kohli-Dang and is thrilled to be part of her professional team. Kari graduated from the University of Alabama in Huntsville with a Master of Science in Nursing. She maintained a 4.0 GPA throughout her training and graduated with honors. Prior to joining Dr. Dang, Kari worked as a Registered Nurse in the Post-Anesthesia Care Unit (PACU) at Huntsville Surgery Center. Kari works in collaboration with Dr. Dang in an effort to provide excellent care for patients. Kari has experience in diagnosing and managing common ENT conditions, obtaining medical histories, and conducting physical examinations. 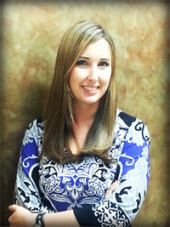 She spends time counseling patients and their family members regarding their health. Kari is licensed by the Alabama Board of Nursing and certified by the American Nurses Credentialing Center. She currently serves on the Board of the North Alabama Nurse Practitioner Association. Outside of the office, Kari enjoys gardening, boating, hiking and spending time with her family.